Libraries: quiet, calm and relaxing? My earliest memory is of a library that was dramatic, daunting and dangerous. Daughter of an academic, I was a regular visitor to the library at the University of Essex. How I dreaded our library visits, anxious at the very thought of what lay inside. I did however love visiting other parts of the University; being of the plate-glass variety, the campus was a four-year old’s delight. I was young enough to skillfully perform various acrobatics in public (spinning and cartwheels mostly) whilst staring at my wonderful reflection in the huge glass-walled buildings, blissfully unaware of anyone but myself. Then, there was the fountain! Even at at the age of four, the physics of this huge contraption fascinated me: a large metal box at the top of the fountain (somehow) filled with water and then tipped its contents below, filling a range of smaller boxes, creating a cacophony of resounding splashes. How the top box filled with water, again and again, I still haven’t resolved (but I’m pretty sure that my four year old mind has distorted the image and there is a perfectly rational explanation for this seeming freak of physics). Memories of that fountain have persisted; when reading the opening scenes of The Duchess of Malfi, years later, my mental picture of Webster’s fountain was not early sixteenth century Italianate but, somewhat annoyingly, a1960s metal construction. As a child, however, I distinctly remember that the excitement of seeing (and hearing) the fountain made up for the dread of the library visits…. My experiences at the University of Essex did put me off visiting libraries for quite a few years (hence my intimate knowledge of second-hand bookshops in the various locations I have lived). I do, however, have very fond memories of a bitter-sweet experience in the library at Gospel Oak, London. This visit was with my two year old son. About twenty young children were sat neatly on the mottled carpet of the children’s section; a (what I presumed to be) teacher was sat in the middle, wedged between two fantastically high columns of books. As we approached, my son’s eyes lit-up and he ran over to the imperious woman in the centre of the circle, jumped on her lap and waited patiently for the story to begin. Bemused (but not letting this interfere with her tight-lipped demeanour) the woman sat and stared straight ahead, obviously waiting for someone to come and remove the offending object. I took my time: partly because I did not view my son’s enthusiasm as offensive but mainly because my legs were severely crossed. Once my laughter was under control I went and retrieved my son and apologised but did not get a response. What a pity that a woman surrounded by books and young children (and sat on by one enthusiast) could not humour herself : a word, a smile would have sufficed. It was during my years as a secondary school teacher that I was more acutely reminded of my early fear of libraries. I would often take groups to the school library and noted on several occasions the frighteningly high percentage of children who were ill at ease in this situation. Choosing a book was a pressure not a joy. One girl, I remember, spent twenty minutes pacing up and down, looking at the shelves with panic in her eyes. I offered help several times but she refused. She eventually chose a book and sat down with it, looked at the cover for two minutes and then put it back and started the next round of pacing the shelves. This, unfortunately, was not an uncommon occurrence. Books, however, were not what had scared me in my earliest experience of a library. What had scared me? It was the huge, rotating metal contraption at the back of the building. The fear would set in from the moment I stepped through the glass doors at the front of the library. Row upon row of books were daunting but exciting to my four year old self; it wasn’t the towers of books that made me quake in my little shoes. It was the lift up to the first floor (and we always had to go to the first floor). The lift that involved taking a leap of faith to get on and off it. I have since found out that these lifts are known as paternosters: moving lifts on a loop with open compartments that you have to jump on to when the bottom of the lift meets the floor of the building. A wrong move or a misjudged floor level could result in horrible injury and disfigurement (I had a lively imagination). What happened if you stayed on the lift and didn’t manage to jump off before the lift rotated at the top of the loop? This was my main concern. Fortunately I never found out but Wikipedia reliably informs that five people were killed in paternosters between 1970 and 1993; perhaps my childhood fears were well grounded (sorry about the pun). “me too but I actually really like this”. For many people, picking up a book or coming to a GIR session has certainly been a leap of faith. Working in libraries is now the high point of my week (something I never thought I would say); although I would like to point out that there is not a paternoster in sight, just lively, interesting people and rows and rows of beautiful books. The Reader Organisation was lucky enough to be sent 10 free copies of Tales From Outer Suburbia from Templar Publishing. Young people across Merseyside are really enjoying reading the book. 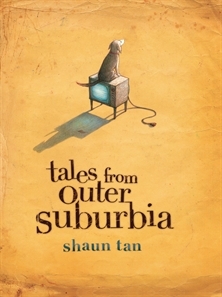 Tales from Outer Suburbia is a collection of short stories written and illustrated by Shaun Tan. Each story is intriguing and unusual, telling tales of strange visitors or happenings in otherwise ordinary suburban neighbourhoods. The book is beautifully illustrated with pictures that form part of the stories. They are highly expressive, with rich colours and lots of detail. Some are small images, illustrating a part of the story. For example in ‘Eric’, a story about a foreign exchange student, pictures show the strange questions he asks (“Eric was very curious and always had plenty of questions”). In one, Eric holds a drawing of a flower with a question mark beside a plug. Other pictures cover double pages. ‘Eric’ is concluded with one such picture. All the other pictures in the story are small and black and white, creating a dreary tone. This accompanies the overwhelming sense of misunderstanding between Eric and his hosts. It is explained away as “a cultural thing”, yet this phrase never enables one to gain a better understanding of Eric. However, the final picture explains what Eric had been doing and had been interested in: in the darkness of the pantry, from small grey objects (bottle lids, wrappers, a pencil sharpener), Eric has grown bright, glowing plants and flowers. He leaves a message, “Thank you for a wonderful time”, which resolves the lingering doubts and “uncomfortable feeling” Eric’s hosts had about his visit and sudden departure (“Did Eric seem upset? Did he enjoy his visit?”). Tales from Outer Suburbia captures the imagination and interest of even the most reluctant readers. 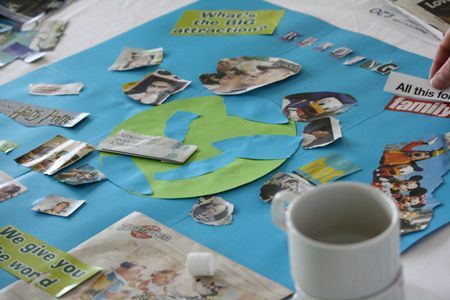 I read one to one with Looked After Children in Liverpool and it is amazing to see how the young people respond to it. D, who is 11, is very easily distracted and has a short concentration span. It has been very difficult to find a book that interests her and holds her attention. Tales from Outer Suburbia fascinated D. She was engaged and focussed for the full hour reading session, whereas normally she loses interest in reading after 10 minutes. ‘Broken Toys’ is my favourite. Mrs Bad News must be happy at the end coz she stops breaking the toys. Its weird and its really good. Maybe it’s her long lost son and that’s why she was sad and angry? It’s full of feelings, its very kind. That was like me when I came into care. I didn’t know anything (like what an aeroplane was) and I was dead confused. He’s like an alien. It’s not like anything I’ve ever read, it’s the best story I’ve ever read. It was incredibly moving to hear K open up and share such personal thoughts. It was an amazing insight into the profound effect that story has had on K. She was very surprised to recognise herself in a book, and it pushed her to express herself in a way she rarely does. This book would be fantastic to use with readers of any age: from 10 year olds to adults. The stories prompt questions that challenge the assumptions you make about people and happenings. They are stories that linger because they are so charming, intriguing and ambiguous. No one will be able to explain the strange feeling of weightlessness or the private smile that remains long after the street sweepers have come and gone. Reading for Wellbeing: what a Conference! 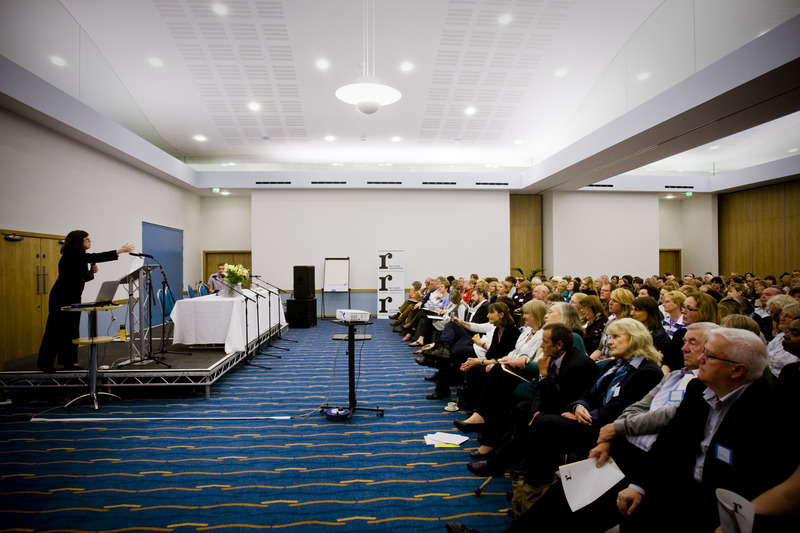 250 people joined us from across the UK and beyond for a full day of reading, thinking and discussion. It was an incredibly enjoyable event, and we were delighted to have been joined by such acclaimed speakers, in particular, Marilynne Robinson and Professor Maryanne Wolf. What a revelation it was to me to be at the Home discussion. It made me understand more about how people read than anything I’ve done for a long time. Thank you for the warm welcome, for the experience, for a very well organised conference and most importantly for the inspiration afforded by all these testimonies of life changes triggered by reading. A wonderful day, it was incredibly inspiring. Author clairePosted on 18th May 2011 16th February 2017 Categories Authors, Events, Health, Well-being & Community, Merseyside, News, The ReaderTags Reading for Wellbeing Conference1 Comment on Reading for Wellbeing: what a Conference! 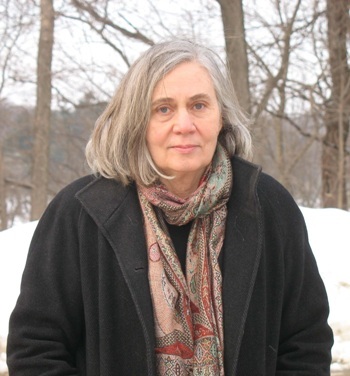 Dinner and Reading with acclaimed author Marilynne Robinson on Monday 16th May is now SOLD OUT. If you would like the opportunity to hear from Marilynne in person, there’s still time to book one of the last remaining places at our Reading for Wellbeing Conference (Tuesday 17th May, Floral Pavilion, New Brighton, CH45 2JS). Hurry, they’ve almost sold out! 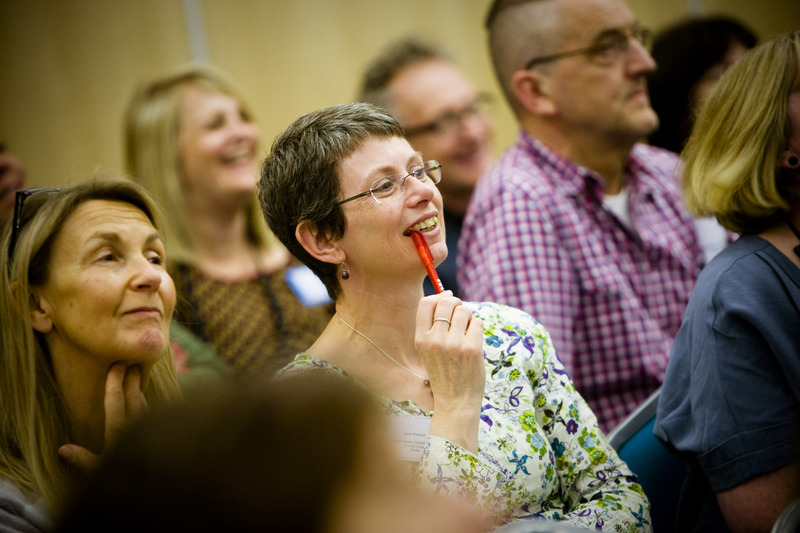 Reading for Wellbeing Conference – last few places available! There are only a few tickets available for our Reading for Wellbeing Conference on 17th May 2011 at the Floral Pavilion in New Brighton, Wirral, so book now to reserve your space and hear from our very special guest speakers from the USA: Pulitzer and Orange prize-winning novelist, Marilynne Robinson (Gilead and Home), and acclaimed author and researcher Professor Maryanne Wolf (Proust and the Squid); plus Professor Rick Rylance (AHRC) and Sue Charteris (Shared Intelligence). “Get Into Reading is one of the most significant developments to have taken place in Mersey Care NHS Trust and mental health practice in the last ten years.” Dr David Fearnley, Medical Director, Mersey Care NHS Trust; Psychiatrist of the Year 2009. In a day of conversation, debate and reading, find out how literature can help you in your profession, your community and in your own life. Newly published research from TRO and Liverpool Health Inequalities Research Institute, ‘Therapeutic Benefits of Reading in Relation to Depression’, will also be presented. Don’t forget: you can also join TRO and Marilynne Robinson for dinner on the 16th May at 7.30pm, Blackburne House (Blackburne Place, Liverpool, L8 7PE). 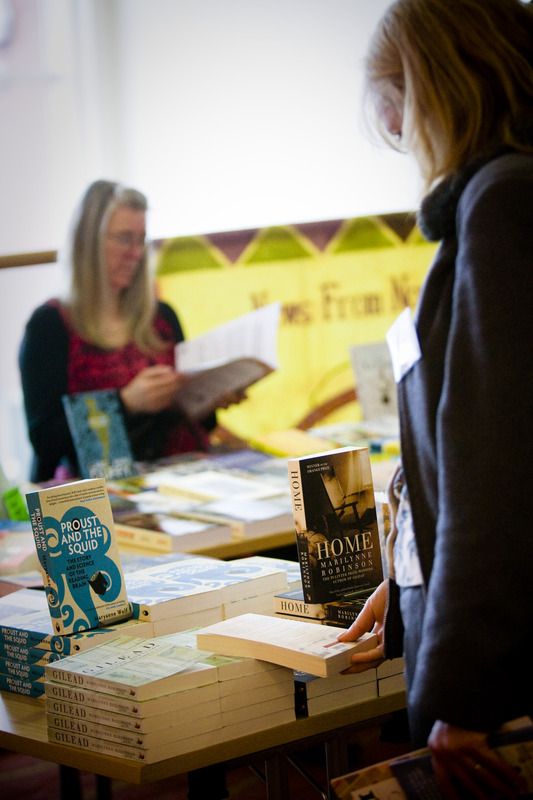 Author clairePosted on 4th May 2011 16th February 2017 Categories Events, Health, Well-being & Community, Merseyside, The ReaderTags Reading for Wellbeing ConferenceLeave a comment on Reading for Wellbeing Conference – last few places available! 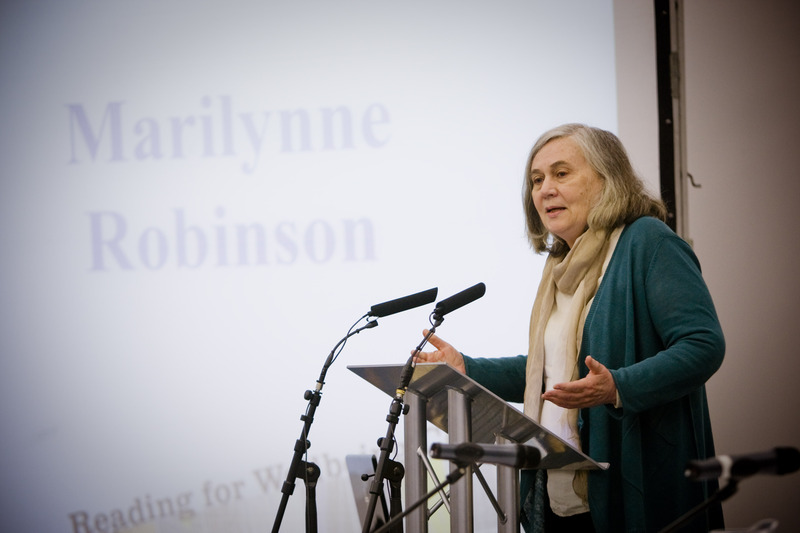 We are delighted to announce that we will be hosting an informal dinner with Pulitzer and Orange Prize-winner Marilynne Robinson (Home, Gilead), on Monday 16th May, 7.30pm, at Blackburne House (Blackburne Place, off Hope Street, Liverpool, L8 7PE). This will be a fantastic opportunity to hear Marilynne, who is one of our special guests at the Reading for Wellbeing Conference on 17th May, speak informally about her life and work in a relaxed atmosphere, ask her any questions you may have and enjoy a delicious dinner. The evening costs only £25, which includes a two course meal and wine. Author of “The Boy in the Striped Pyjamas” comes to Liverpool! Sefton Arts in association with Pritchards Bookshop are bringing John Boyne, author of the internationally best selling The Boy in the Striped Pyjamas to Sefton. This will be the first opportunity to hear about John’s new book The Absolutist, and takes place the day before the official publication day – giving the Crosby audience the chance to be the first in the country to get their hands on the new novel! The Absolutist is set in September 1919 and tells the story of 20 year-old Tristan Sadler, who takes a train from London to Norwich to deliver some letters to Marian Bancroft. Tristan fought alongside Marian’s brother Will during the Great War but in 1917, Will laid down his guns on the battlefield, declared himself a conscientious objector and was shot as a traitor, an act which has brought shame and dishonour on the Bancroft family. But the letters are not the real reason for Tristan’s visit. He holds a secret deep in his soul, one that he is desperate to unburden himself of to Marian, if he can only find the courage. An Audience with John Boyne is at Crosby Civic Hall (Crosby Road North, Crosby L22 0LQ) on Wednesday May 11th at 7pm. Tickets for the event are £5. Contact 0151 928 1919/ 01704 540011 or visit www.seftonarts.co.uk to book your place. Author clairePosted on 11th April 2011 Categories Authors, Book News, Events, Fiction, LiverpoolLeave a comment on Author of “The Boy in the Striped Pyjamas” comes to Liverpool! 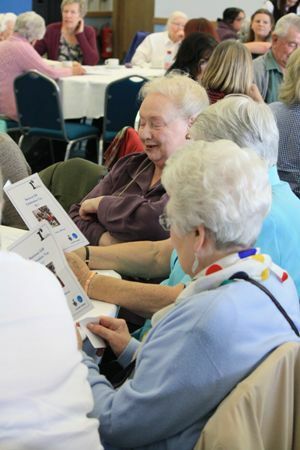 Around 170 GIR group members, facilitators, and TRO staff turned out for the National GIR Celebration Tea that took place on Wednesday 6th April at the Floral Pavilion. Some had even come all the way from London for the Tea, and it was a really fantastic event. 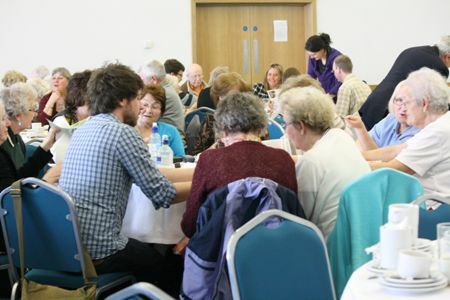 The Floral Pavilion’s seaside location provided the perfect opportunity for all our group members, from all over the UK, to come together and celebrate being a part of Get Into Reading. The afternoon was a great success, with lots of readings, testimonials, and a few GIR activities taking place between the lovely tea and cake. We also set up a video diary booth, where all group members had the chance to go and record their thoughts and feelings about GIR, and a collage activity (which you can see the results of below). If you were there, we hope you enjoyed yourself! Author clairePosted on 8th April 2011 Categories Events, Merseyside, The Reader, WirralTags artsLeave a comment on The GIR Celebration Tea! Reading for Wellbeing Conference: Book Now! Places at TRO’s 2011 Reading for Wellbeing conference are filling up fast, so please book now to avoid disappointment! 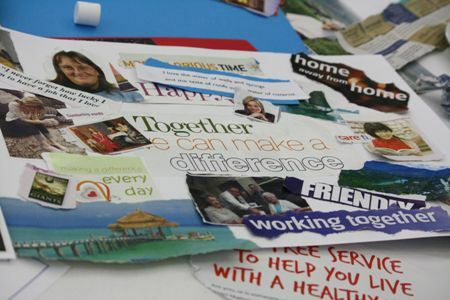 The Reading for Wellbeing conference takes place at the Floral Pavilion, New Brighton, Wirral on Tuesday 17th May 2011, and anyone can attend. 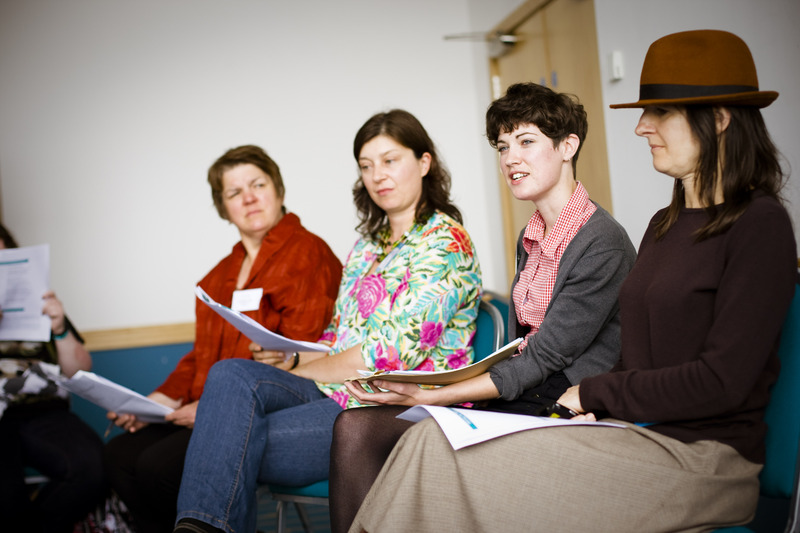 It costs just £90 for the full day, or £67.50 for trained shared reading facilitators. Author clairePosted on 1st April 2011 16th February 2017 Categories Events, Health, Well-being & Community, Merseyside, News, The Reader, WirralLeave a comment on Reading for Wellbeing Conference: Book Now! Over the years Liverpool has undergone various transformations and managed to regenerate even in the face of economic hardship. ‘Hard Times: creative Liverpool in times of crises’ will explore the impact of economic crises on the creative landscape of the city and provide a platform for the creative sector to discuss interventions and new directions. This is a half day public event, introduced by Alexei Sayle. Confirmed panel members and contributors include: Mike Stubbs (FACT); Bec Fearon (Bluecoat); Patrick Henry (OpenEye Media); Richard Nutter (Royal Liverpool Philharmonic/LARC); Lewis Biggs (Biennial) and Professor Roger Shannon (Edge Hill University).